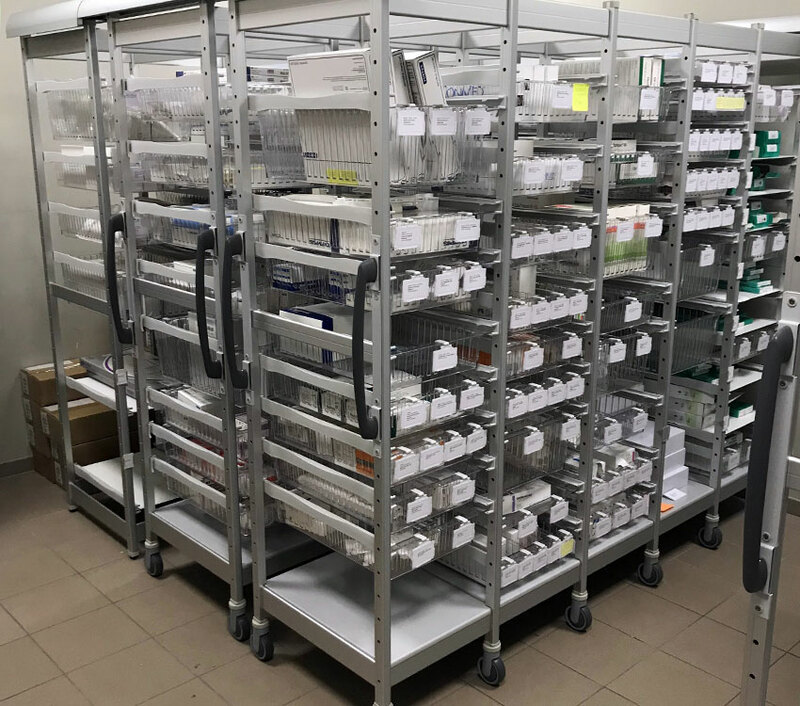 In order to make optimum use of the storage space in the hospital’s pharmacy, this customer was the first in Belgium to opt for the UBeTrack ™ from BELINTRA. The set-up comprises 5 ISO columns (40 wide x 60 cm deep) per rack and a total of 2 fixed and 3 mobile racks. Depending on the products to be stored, these were filled in with transparent PC trays 10 or 20 cm high or HP laminate shelves. The employees of the pharmacy are very satisfied with the compact storage system. “It is an ergonomic and well-arranged storage of our medical equipment and implants,” says Pharmacist Demunter. In addition, the technical service of the hospital was also very satisfied with the extremely simple way to assemble the racks including the guides. More info on BELINTRA UBeTrack™.